Daren Brown returns to manage Class AAA Tacoma, replacing Pat Listach, who was not retained for this season. Mitch Canham will move up to Class AA Arkansas. With a focus on reinvigorating a farm system that had been short on talent and prospects in past seasons, but also had received an influx of talent thanks to the myriad trades this offseason, the Mariners announced their player development staff and coaching staffs for the each minor-league affiliate going into the 2019 season. 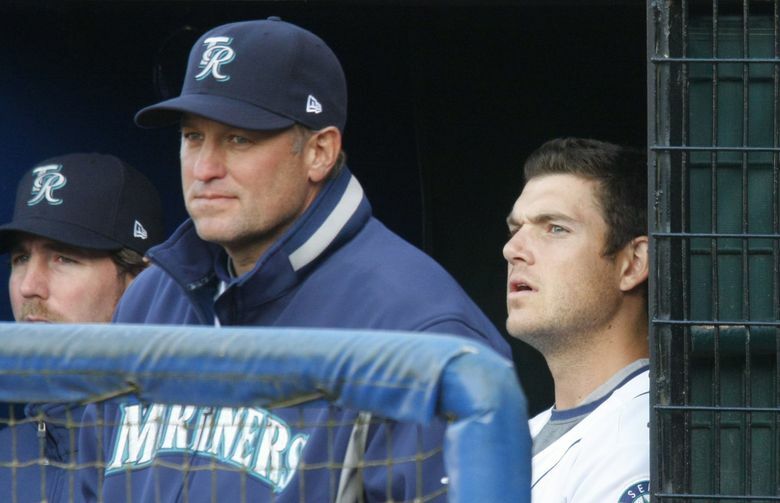 Mariners’ director of player development Andy McKay retained a large group of coaches and coordinators from last season, but several have changed positions within the organization. The coordinator staff remains largely the same, though Mike Micucci, who served as coordinator of instruction last season, wasn’t retained. The Mariners no longer have that position. Weiner replaces Oscar Marin as minor-league pitching coordinator. Marin left the organization for a big-league job with the Rangers. Weiner is the founder of The Arm Farm, a company that does private training for pitchers. He previously worked for the Indians. Nicolas moves up from being a manager of the Mariners’ team in the Dominican Summer League to a new position created to oversee the overall development of the organization in Latin America. This staff is something that has been supplemented with a handful of hires. With the much-publicized removal of Dr. Lorena Martin from director of high performance, there will not be a single overseer of this staff. Sources said Martin’s responsibilities will be divided among staff. Brown, who is the winningest manager in Rainiers history with a 433 victories in seven-plus seasons in Tacoma, returns after managing at the Class AA level the past three seasons. Brown replaces Pat Listach, who was not retained. Painter has been a fixture in Tacoma and is a favorite with pitchers because of his work with pitching mechanics. Howell returns to Tacoma with Brown, having worked at the Class AA level the last five seasons. Canham, 34, continues to move up the organizational ladder and is considered a rising star by some in baseball. The former Oregon State and Lake Stevens standout has been a manager in the organization for the past three seasons. He spent the past two seasons in the High-A California League, managing Modesto. This will be his first season at the Class AA level and he’s expected to have a loaded team featuring prospects Kyle Lewis, Evan White and Justin Dunn. Woodworth moves up from Modesto with him while Wilson joins the organization as a first-year coach. He spent the past seven years with The Performance Academy in Apex, N.C., where he worked as general manager and director of baseball. Hocking spent last season managing Class A Clinton and moves up to Modesto to replace Canham. This is his third season in the M’s minor league system. He worked in 2017 as Tacoma’s hitting coach. Umbria served as hitting coach in Clinton in 2018, while Marcello is co-owner of Top Level Athlete — a private baseball training company in Florida. After working as a hitting coach the past two seasons in the organization, Berg takes over as manager of the new affiliate in West Virginia. He previously spent seven years in the Marlins organization as a coach. Farris moves up from Everett while Leichman was promoted from the DSL Mariners. Moreno returns for a third consecutive season as manager of the Aqua Sox. This will be his 19th season in the Mariners’ organization. Thurston worked as the hitting coach in Modesto in 2018, while Ronick comes to the Mariners after spending the past nine years running Ronick Baseball — a private baseball training company. Livingston is back for a fourth year as manager of the Mariners’ rookie league team. He led the Arizona League Mariners to back-to-back postseason appearances in 2015 and 2016, including a title in 2016. Monzon returns as pitching coach for the team for another season while Dawson joins the organization as a first-year coach after working at a junior college in Iowa.